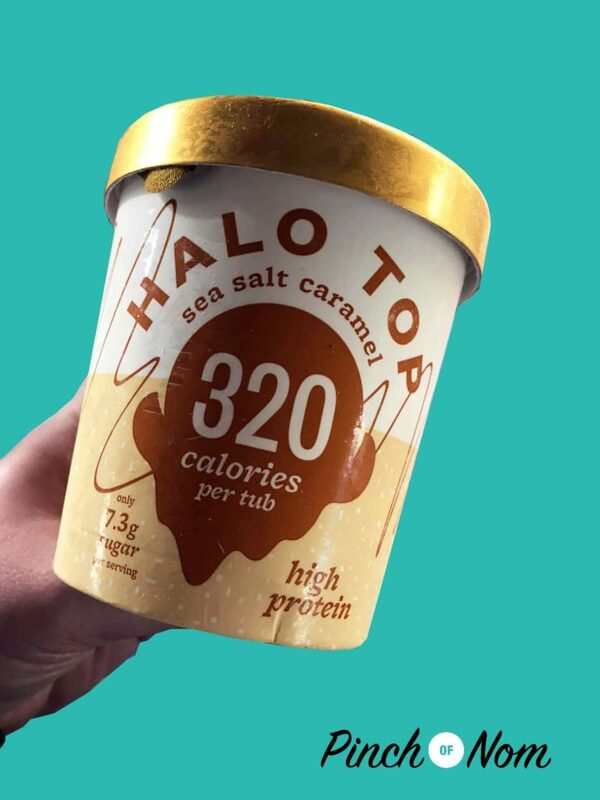 Halo Top ice cream has taken the Slimming World community by storm over the last few weeks, and it’s just about to get a whole lot tastier! Tesco have now started stocking the popular ice cream tubs at half the price – retailing at £2.50 instead of the usual £5.00. Great news for slimmers everywhere! 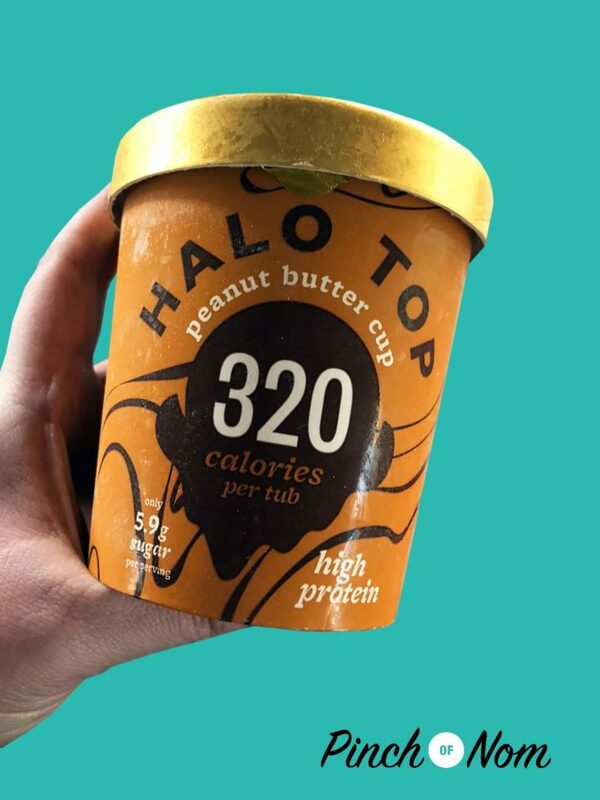 Halo Top ice cream has long been a favourite ice cream company in America, who have now launched their product in the UK. In the US, there are a huge amount of flavours and combinations to choose from, so we’re hoping that the UK launch is successful enough to add even more flavours available to us in Britain! 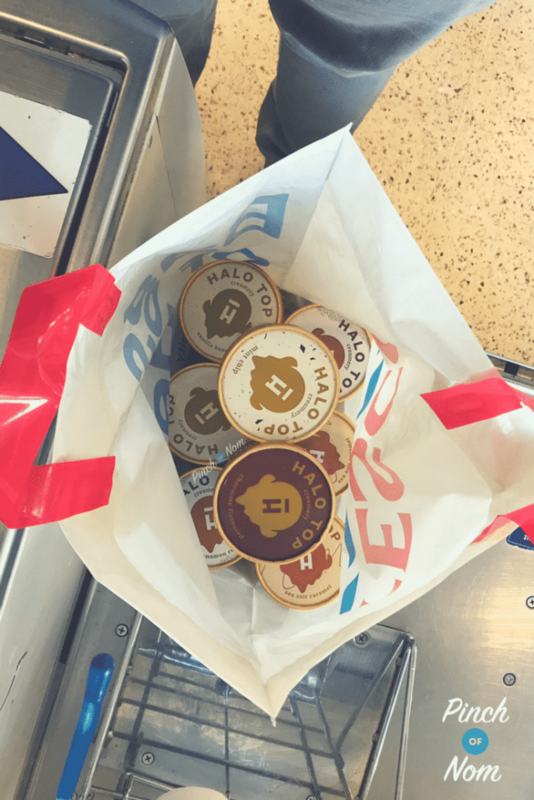 What Flavours Of Halo Top Ice Cream Are There? Flavours include cinnamon roll, peanut butter cup, cookie dough, chocolate, vanilla bean, sea salt caramel and mint choc chip. 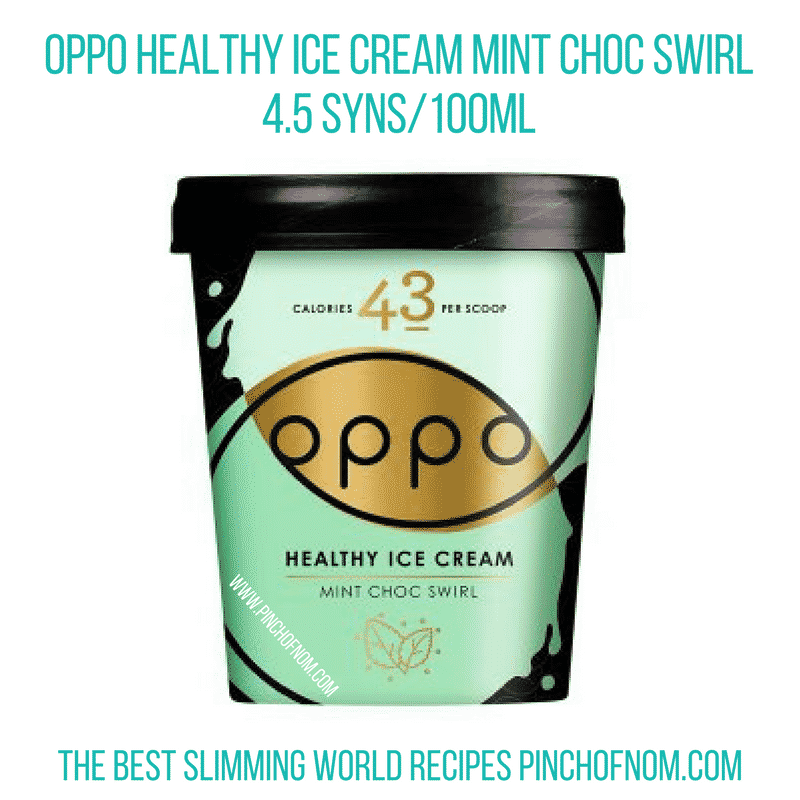 The Syn value of these ice creams range from around 15-20 syns for the entire tub, making them a great sweet treat! 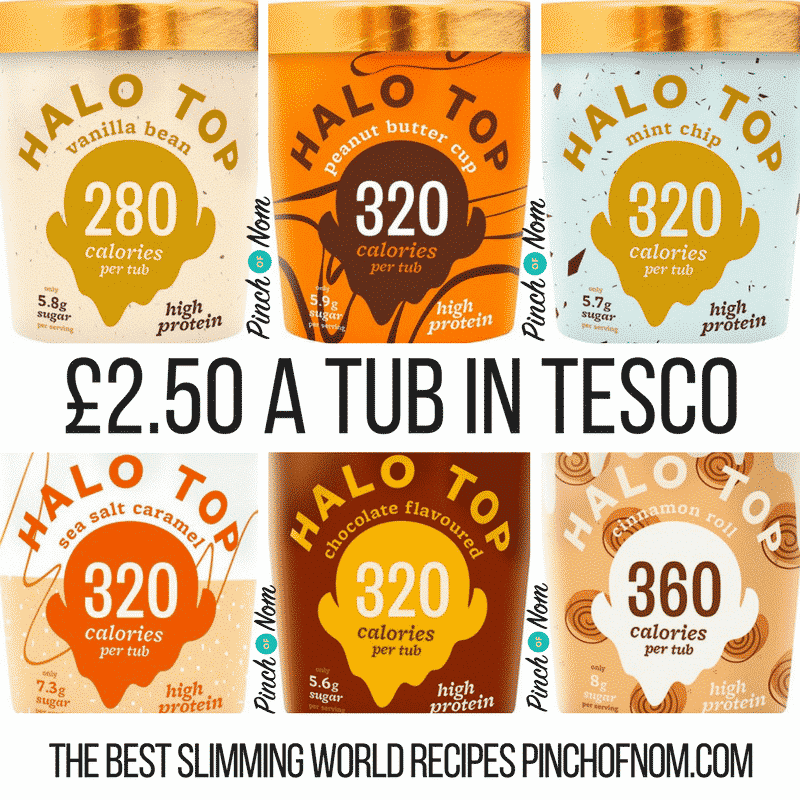 Slimming World members have been raving about Halo Top products since they have launched in UK supermarkets recently. Why? 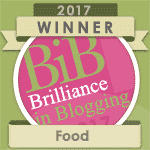 Simply because of the amazing taste for far less Syns than regular ice cream pots! How Long Is The Half Price Offer To Last? 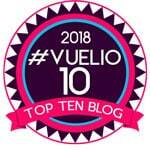 This Tesco offer runs from 17/01/18 to 29/01/18 – make sure you get yours quick! 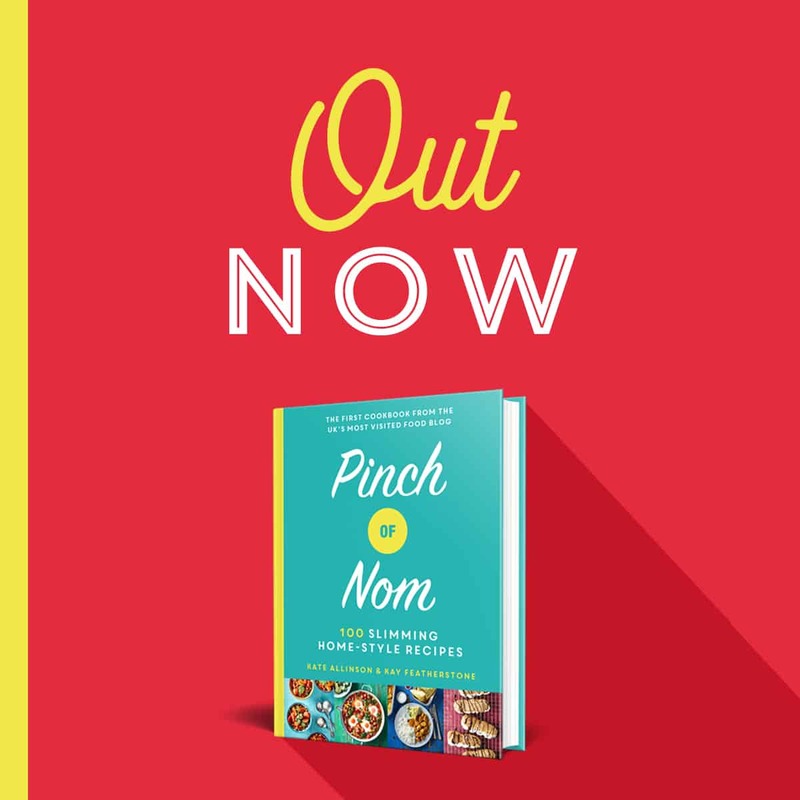 Judging by the reaction they’ve had on social media (and with the Pinch Of Nom team!) they’ll be a popular buy for the Slimming World community! Are There Any Other Healthy Ice Creams? Yes! 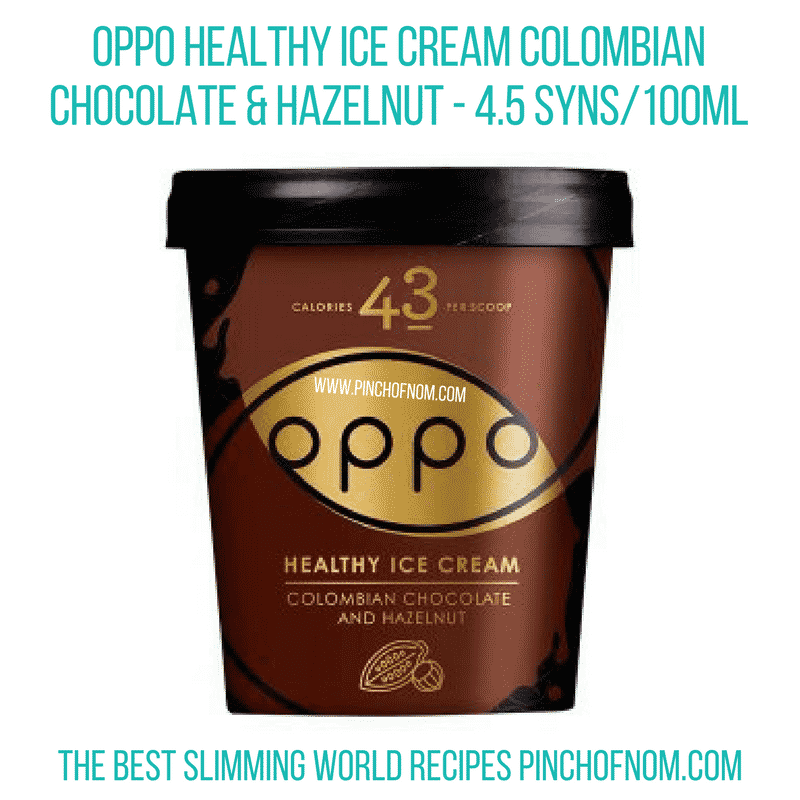 Oppo ice cream pots have been available in supermarkets for a good while now. 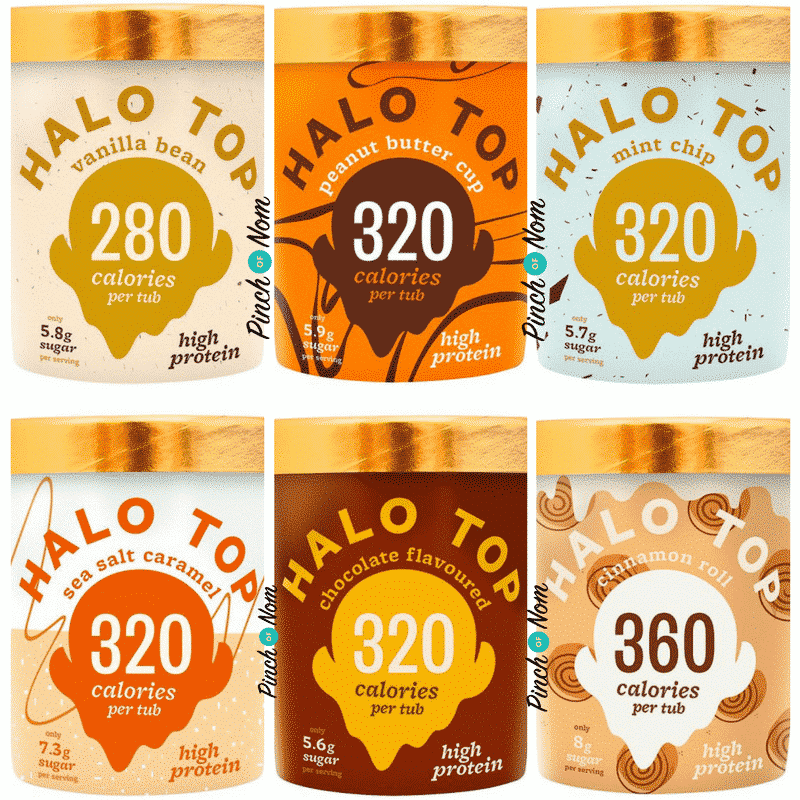 Featuring a wide range of flavours similar to that of Halo Top, they also have similar Syn values, ranging from around 15-20 Syn for the most popular flavours. Nestle have also got their Skinny Cow range of ice creams available in many supermarkets. Their mint choc chip flavour ice creams are just 6 Syns each. 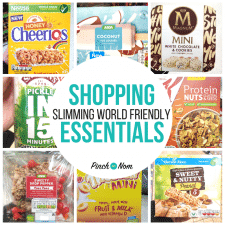 For more information regarding different types of ice creams that are popular with Slimming World members, check out our previous Shopping Essentials list, which features many of them! Please note, some of the prices and availability of these products may have altered since it was first published. How many grams are in 100ml? Unfortunately, it’s not a straightforward conversion! Although ice cream is sold in mls, you can’t measure out mls as it’s not a liquid, and the density varies depending on ingredients. All v confusing! Ice creams such as Breyers quote a conversion of 100mls to 68g. Hope that helps.